Paper Made Bakery's been spotted on the crafty radar! 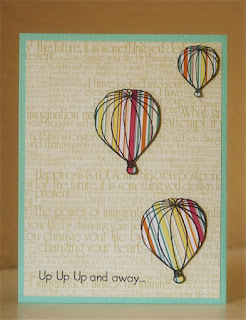 Ashley Harris of The Scrap Review has given the brand new Sunday Afternoon kit a test drive and she let's you know how she *loves* it! 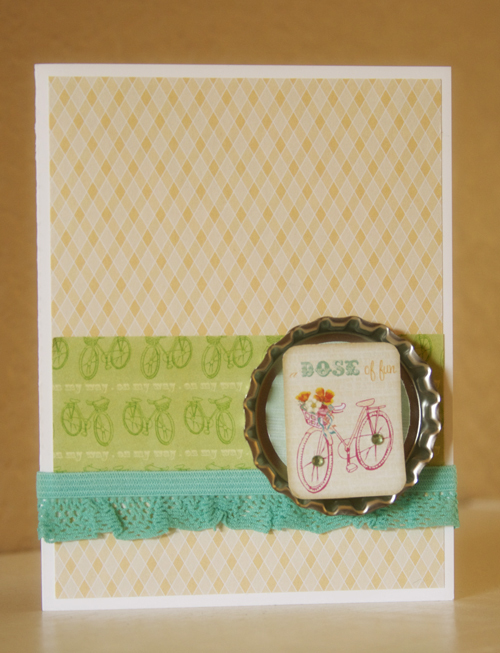 Ashley designed three great cards with the Sunday Afternoon kit -- just imagine the scads of gorgeous cards you can make! 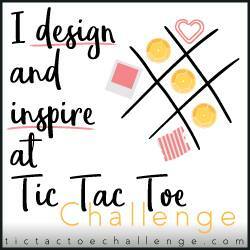 There's a theme going on with this kit...fun, fun, fun! 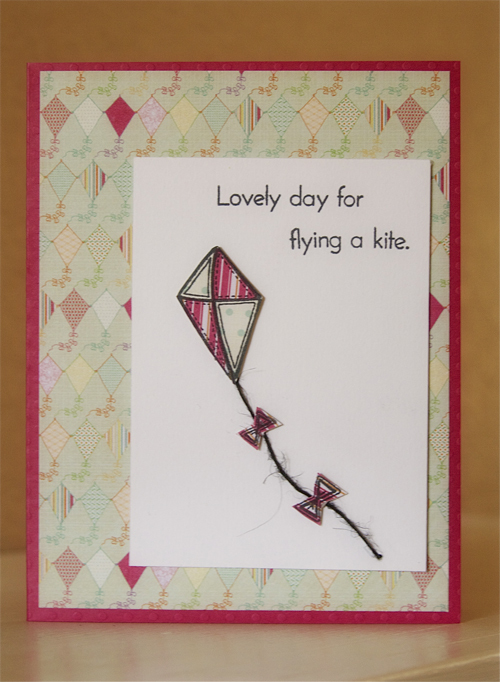 Enjoy a picnic, ride a bike, or fly a kite! Springtime is in the air! Plus, you'll find some really cool embellishments in this kit -- extraordinary little bits and bobs to play with! Click on the tab above for YOUR Fresh Baked Kit and enjoy a pleasant Sunday Afternoon! awesome cards...love all the paper piecing.. SO cute and fresh! Love that we're all getting in the Spring mood! Have a great weekend Shannon! Adorable cards from Ashley! Love the use of color and that last card with the bottle cap is perfection! !